In what should be a given —a mentally healthy workplace — this isn’t always the case as chaos can reign supreme, with many people struggling in silence. As we take a look at where we are as an industry, we question what can be done to improve the status quo. In December last year, press releases were blasted out across trade press about a new Mentally Healthy study conducted by industry charity, UnLtd; national suicide prevention and mental health institute, Everymind; and creative agency, Never Not Creative. While reports on the media, marketing and creative sector are nothing new, one that marked the first major study into the mental health in our industry was a standout. The report, with research carried out by Dr Ross Tynan and Dr Renate Thienel, surveyed more than 1800 people, with the majority of respondents being women, nearly half were aged between 25 and 34, and worked in an organisation with 50 employees or more. 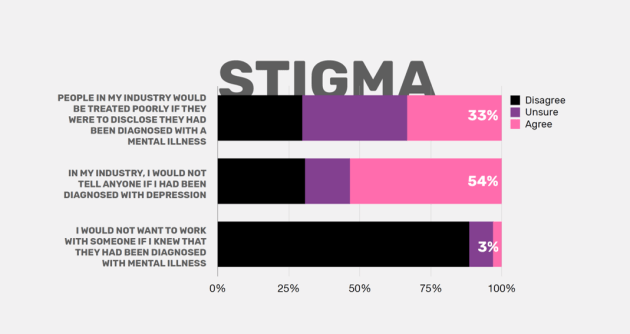 Concerning stats revealed that people within the media, marketing and creative industry showed greater signs of mental illness compared to the national average — a total of 56% of respondents showed mild to severe symptoms of depression compared to the national average of 36%. 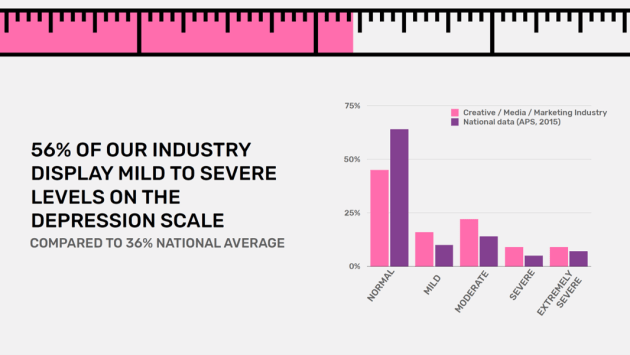 The report also found that within the industry, creatives suffered a higher a rate of mental health symptoms: 61% showed signs of depression compared to 53% in marketing and 46% in media. Determined for this not to be a flash–in–the–pan headline lost during the silly season of summer, AdNews wanted to re–highlight the ‘sad news’ (as per our cover by the Youngbloods) that is these results, and look at what issues still needed to be tackled and what has happened since these troubling results were identified. UnLtd CEO Chris Freel described the reaction from adland as “phenomenal” and said from here, it’s about identifying the areas that need greater focus. “Quite a lot of people had been in touch with us after the survey who wanted to get involved and share their stories,” he said. “For us, it’s about more open and real conversations in the industry and creating an environment where it’s ok to not be ok, and to communicate that. 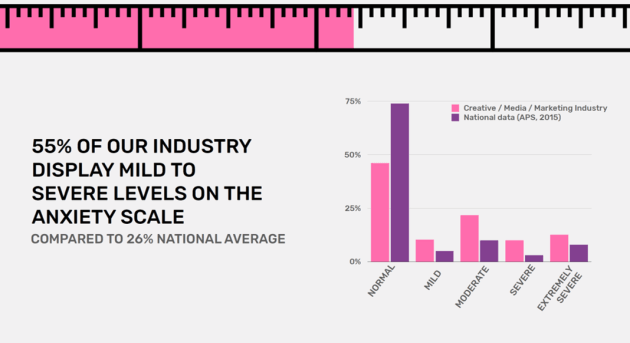 Never not Creative and UnLtd are now forming a taskforce with people across creative and media agencies, media owners and tech companies who meet regularly. “We want to come together so we can come up with a kind of manifesto for best practice for how we could be working together in the ecosystem we all live in,” Freel said. Never Not Creative creator, Andy Wright, said job satisfaction surfaced as a major concern in the study’s findings, with it revealing a link between poor job satisfaction and poor mental health. “Job satisfaction isn’t something that should be an awkward conversation,” he said. Another challenge for Wright is finding those agencies that aren’t reaching out for help. “There are probably businesses out there that assume they don’t have a problem when they probably do,” he said. UnLtd and Never Not Creative are also gathering industry bodies together, such as AANA, IAB, and The Communications Council, to bring them on board. “All the industry bodies endorsed the survey from the outset; they were all supportive of that and I do feel there is a collective enthusiasm for it to be addressed,” Freel said. Wright added there needed to be more work done with the new generation in advertising, as it is older industry leaders who impose policies that often don’t go far enough, however, he commended the likes of MFA’s NGEN. Still, industry leaders speaking out on the nature of mental health is important, with Freel noting IPG Mediabrands’ outgoing CEO, Danny Bass, and Spark CEO, Sue Squillace, as important figures in the conversation. “These people are really pushing these conversations and it’s important — we’re a people–based industry,” Freel said. However, he added that it’s a conversation everyone needs to own. “It’s each and every individual and organisation is responsible for looking after each other. There isn’t one organisation that should be leading this conversation, it just needs to be open,” Freel said. Industry marketing ANZ exec at Facebook Catherine Bowe argued the most important issue affecting the industry today is not metrics, creative placement or measurement, but mental health. Backed up by the UnLtd study, Bowe said many people still believe there is a huge stigma in sharing when they are struggling, especially at work. “Yet we spend more time at work than almost anywhere else,” she emphasised. Adland veteran and CEO of BrainLight Wellness Mike Morrison left his full–time adland role in 2014 and now speaks publicly at conferences on his own battle with depression. “Frankly, I wanted my suffering to mean something and I did not want this generation to suffer in silence in advertising the way I did,” he said. The Sydney–based exec, who worked at Colenso BBDO in the 90s, clocked up more than 14 years at GPY&R (in its various company iterations) and was also MD of Innocean Worldwide Australia, said he has concerns for anyone working in agencies of any type. “It is deeply troubling to listen to conversations — the real conversations — about the mental state of executives,” Morrison said. Personal impact alone, he said, does not include the home sacrifices made in the name of client service that severely diminish and can permanently damage critical relationships for an agency executive. Morrison believes that ad agencies, as in any service profession, do have very poor mental standards due to pressure, social stress and the unrealistic expectations of clients that “crush the agency culture”. “Clients determine the culture in an agency — it’s always the biggest client that generally pollutes the best intentions of agency management,” he explained. Morrison now consults to agencies and other companies about mentally healthy workplaces. He is also nearing completion of Flying High Feeling Low, a book detailing his life in advertising while managing and masking his condition. Despite having concerns about anyone entering advertising as it is now, Morrison revealed he found it very hard to leave the sector permanently as “an unabashed agency fan”. Morrison said few agencies include mental health as part of the actual business plan for the agency and he’s not just talking about the people and culture execs. “The creation of a mentally healthy workplace is a lot more than taking ties off, table tennis and free drinks on Friday,” he said. Morrison explained how in white collar service roles there are more mental harm opportunities than there are physical harm opportunities, which is why the MHO is needed. He also praises smaller shops such as Joy, Atlas, and Born & Raised for having great well–being cultures. “It’s in their business plan and, unlike others I’ve worked for, these companies don’t pay lip service to ‘our people are our greatest assets’,” Morrison said. Being open about mental health struggles means people become comfortable with exposing their feelings and being vulnerable, according to Bowe. “You can’t open up and share about your mental health without being vulnerable. Therefore you require a safe space and support around you, and unfortunately the nature of many workplaces doesn’t allow for this,” she said. “Our protective instincts put up a shield to protect us, but also stop us from being seen. I don’t believe this is abnormal or something that only those who are struggling with their mental health, like anxiety or depression, experience. Bowe said stigma is the normalising of this silence and that often the problems causing anxiety, stress and other mental health conditions are deeply personal, and it is uncomfortable to talk about many of the topics, emotions, fears and anxieties that arise. While there has been a lot of talk about mental health in recent years, Bowe said, we’ve made very little progress in actually reaching out to those suffering, who still often feel it is too hard to share. She added that while almost everyone is aware of the issues, now it’s about arming people with the tools to change behaviours and practices, and give people the platforms to share their experiences safely. Bowe said the more people share personal stories, the more people can understand, support, relate to and connect with each other. While there’s no one right way to tell your story, Bowe said, be authentic and remain true to yourself; don’t worry about length, style or form. Tell your story in a way that expresses how you’ve approached your mental health or cultivated healthy habits. She said share actions, explain what steps you are taking or have taken to care for yourself and find support, and lastly, to be an ally. Talking about mental health and raising awareness of the issue is essential because we work in a mentally challenging business, according to Colenso BBDO creative director, Maria Devereux. “We’re constantly under pressure to perform and to prove our worth, which means we often work long hours and make big sacrifices just to meet a deadline,” she explained. “When we work long hours, our bodies feel it. Sore backs, migraines, adrenal fatigue, depression and anxiety are all rife within agencies. 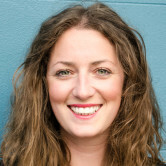 Auckland–based Devereux said it’s increasingly important for agencies to be talking about mental health, but more importantly we need to reframe how we talk about it. “When I hear buzzwords like ‘resilience’ and ‘stress management’ they just sound like hard work to me, especially if I’m already living in survival mode,” she said. Devereux said Colenso has a culture of supporting each other to be the best versions of themselves, both professionally and personally. It also introduced new mental health initiatives, with her favourite being the weekly meditation session. Dr Matthew Cullen CEO of Tonic Health Media and a practicing psychiatrist, believes current health and wellbeing policies and initiatives should be updated regularly and communicated so employees are aware of the information and support available to them. He also thinks businesses should consider adding health and wellbeing as a standing agenda item at every leadership meeting, and managers be encouraged to check in with their people, both at team meetings and individually, especially if they notice a change in a person’s behaviour that is out of character. 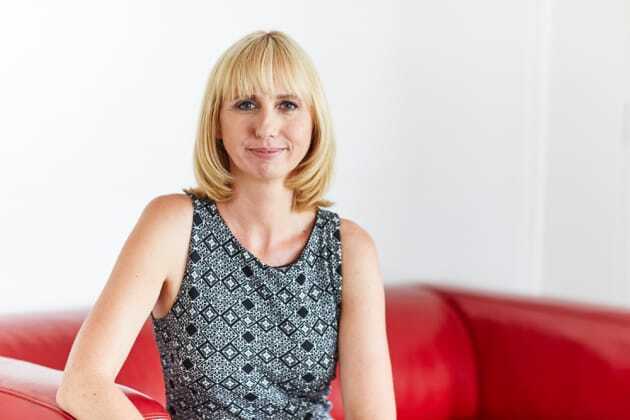 CEO of the Interactive Advertising Bureau (IAB) Australia Gai Le Roy told AdNews that being at the heart of the digital advertising community allowed them to see first–hand the great support and opportunities in the industry as well as the more challenging issues. “Redundancies, constant re–orgs, increased workloads and a lack of clarity around purpose are common themes [for industry concerns about mental health],” Le Roy said. “We also have a lot of younger people being promoted into quite senior roles and, while they are often brilliant operators with fantastic fresh thinking, there can be a lack of training and support for these people as they step into leadership roles. While supporting the next generation to be strong, resilient leaders is a great starting point for our industry. Le Roy said mental health is an issue for all ages, but it is well documented that finding ways of managing mental health and finding strategies that work earlier, rather than later, is a huge advantage. Le Roy said mental health is an incredibly important issue for her not just within the industry, but for very personal reasons. “People close to me in the industry know that my daughter has struggled with severe mental health challenges since she was 13 and although it is really her story to tell at some point, this has had a huge impact on our whole family,” Le Roy revealed. “As I have shared parts of our journey with people in the industry I have been surprised with how many are either battling with something themselves or within their families, and also frequently with people within their teams. “As a data lover and someone with a research background, I have been amazed with how treatments and strategies for mental health are still so hit and miss. Does work need to know? 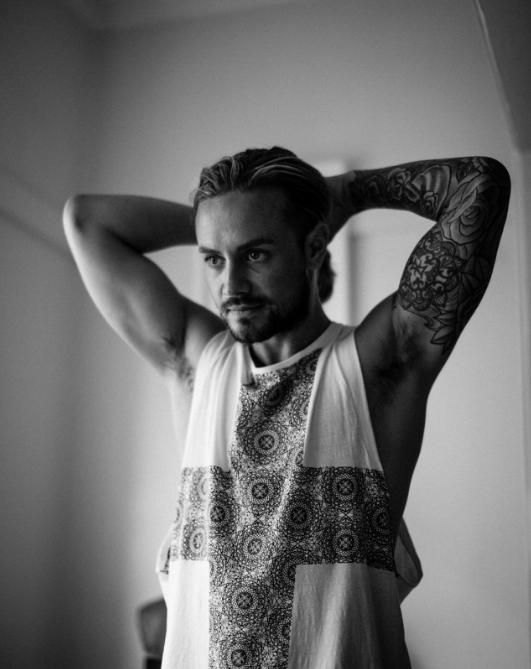 Former Sydney–based Microsoft marketer Mitch Wallis left the industry in 2016 and launched the mental health service, Heart On My Sleeve. The aim was to transform the conversation into a more deliberate and healing one that authentically allows people to find their voice and tell their story. Speaking to AdNews, Wallis said it is important to remember it’s not entirely the employer’s responsibility to completely fix or take away someone’s wellbeing issues. “There are often decades’ worth of context that the workplace wasn’t even around or involved in that a person might be going through that they’re not accountable to solve,” Wallis said. However, he emphasised that the workplace is accountable for not making you worse than you were before you joined it and to promote opportunities to improve welbeing. “Understanding the boundaries of what the workplace should or shouldn’t be involved in is an artform, but authenticity and realness are the goal for both sides,” he said. On the question of people concerned about workplace prejudice or fears about being treated differently, Wallis said there are laws around this and that a company must implement reasonable adjustments, which are essentially tweaks or changes to a person’s role for a certain amount of time to help them get through a period of ill health. “We need to change behaviour and we change behaviour by modelling values, by actually putting this stuff into practice and showing people that they aren’t just parachutes around that no one is using, that people are actually pulling the ripcords and they’re doing so successfully. That will give people confidence,” Wallis said. While many media businesses offer the Employee Assistance Programs (EAP), Wallis said they can have very low utilisation rates and are not adequate enough on their own, however, there are some great success stories. To create a mentally healthy workplace, all staff — from managers to employees — must play a sustained role, backed by a proper strategy and resources. Beyond Blue is developing a workplace mental health strategy as a how–to guide for organisations and providing practical advice on developing and implementing tailored mental health and wellbeing strategies for businesses. It also supports business leaders in driving internal cultural change towards positive mental health and wellbeing. Stigma can be a barrier to talking about mental health in the workplace, so organisations need to consider the language they use and how adopting a unified approach can help employees to feel safe and supported. Everymind’s Life in Mind National Communications Charter provides a range of broad communication principles, key messages and guidance around how individuals and organisations should talk about mental health and wellbeing. The charter is about more than just the words we use, it’s about including people, valuing them and reducing the stigma surrounding mental health and suicide, encouraging people to take action, seek help or offer help to others. As employers or staff, we can all create a culture where people feel confident asking and answering the simple yet important question: “Are you ok?”. These conversations can make a real difference to staff going through a tough time. Visit the R U OK? website to access free, open source workplace resources to help your team ask the question in a safe and supportive way. Businesses need to assign mental health champions at every level of the organisation. These champions would lead by example to help create a safe, open and supportive culture around mental health and wellbeing. So what does this mean? Actively taking ‘mental health days’ if they need to, promoting the EAP at work, checking in with colleagues, not using stigmatising language (e.g. ‘he’s a bit OCD about that’), participating in mental health first aid training, practising self care and encouraging colleagues to do the same. This is part one of a four-part series which appeared in the AdNews April 2019 magazine and is part of a new feature AdNews introduced last year called Spotlight. Support AdNews by subscribing here.